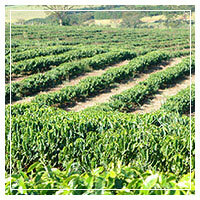 Barbera Coffee Co. selects its coffee beans directly from its producers to optimise the quality of its blends, 7 high-quality coffee beans are carefully selected from the finest plantations of Brazil, Central America and Indonesia. 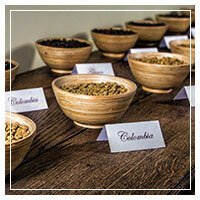 Each kind of coffee bean is chosen to be part of a dedicated process of roasting and blending. 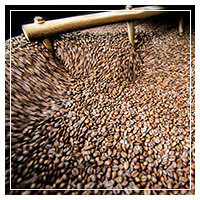 The attention that Barbera Coffee pays to roasting the beans is essential in the making of such a delicate product. 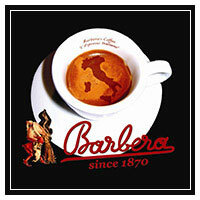 Barbera puts all its experience gained in its antique trade, so that the precious beans keep their flavour intact. The different types of beans are blended wisely the way only Barbera knows how, constituting Barbera’s secret to personalize its products. The proven procedures used by Barbera contributes to exalting the level of freshness and palatability that espresso lovers can fully appreciate.